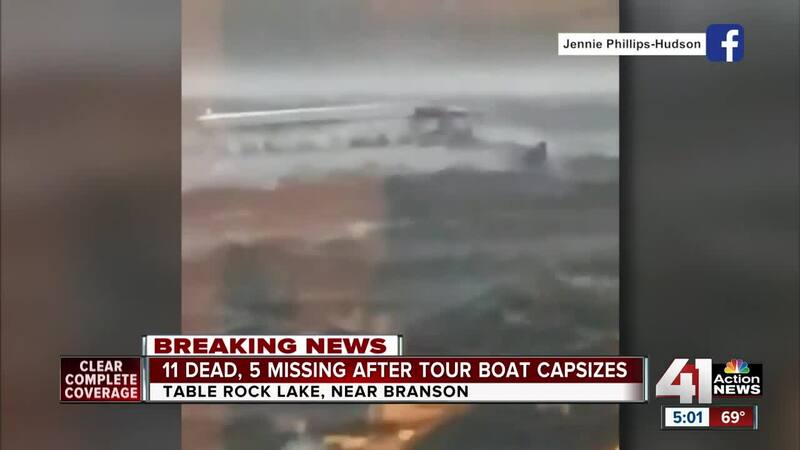 Seventeen people were killed Thursday when Duck Boat capsized in rough waters on Table Rock Lake near Branson, Missouri. It's at least the fifth deadly incident involving the amphibious vehicles since 1999. Duck Boats, also known as DUKWs, were designed by the US Army during World War II as a military vehicle that could both drive on land and float in water. The vehicles have since been modified to hold dozens of passengers, and have become popular in waterfront tourist destinations. The vehicles are so iconic in the city of Boston that pro sports teams often ride in them during championship parades. 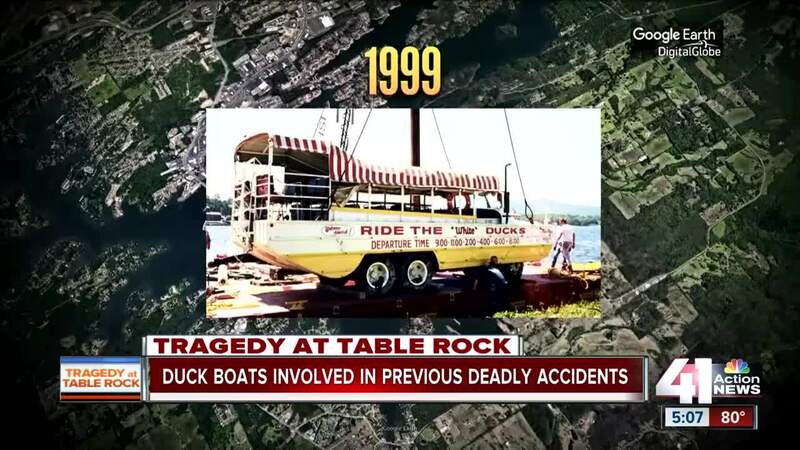 But the vehicles have also been deadly — at least 38 people have been killed in accidents involving Duck Boats on both land and in water since 1999. A Duck Boat named "Miss Majestic" sank to the bottom of Lake Hamilton near the resort town of Hot Springs. Of the 21 people aboard the boat, 13 people were killed. The National Transportation Safety Board determined that the watertight seal leaked during the trip, filling the hull with water and causing the vehicle to sink to the bottom of the lake. Two people were killed when a tugboat slammed into a disabled Duck Boat on the Delaware River. Thirty-seven people were on board at the time of the accident. While NTSB cited the tugboat's mate for his "lack of attention" while dealing with a family emergency as the cause of the accident, they also cited maintenance personnel with Ride the Ducks International for not surge tank pressure cap, which led to the breakdown of the boat on the river. The NTSB also cited the master fo the Duck Boat because he did "not take all actions appropriate to address the risk of anchoring in an active navigation channel." Five people on a charter bus were killed when a Duck Boat crashed into the bus on a Seattle highway. Witnesses said one of the boat's wheels "locked up," causing the vehicle to swerve and T-bone the bus at 40 miles per hour. Sixty-nine people were injured in the incident, and three other vehicles were damaged. The NTSB faulted Ride the Ducks Seattle for "failing to address a bulletin that warned of problems with the axle housings on the vehicles," according to CBS . A 29-year-old woman was killed and another person was injured when a Duck Boat collided with a motorized scooter on a city street. According to WCVB-TV , the crash prompted a number of safety precautions in the city, including a ban on drivers narrating tours and extra cameras on boats.